I just finished my article about two new Galaxy J-series devices, the Galaxy J7 Crown and Galaxy J3 Orbit. Now another Galaxy J smartphone surfaces; the Samsung SM-J800FN. This model number just received its WiFi certification, it’s likely to be the new Samsung Galaxy J8 2018 smartphone. 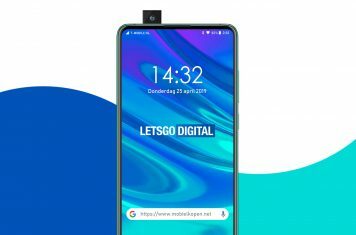 Our Dutch friends over at Mobiel Kopen discovered the new certification. For a while there has been talk Samsung is working on a Galaxy J8 2018 model, however this is the first real proof the SM-J800FN truly exists. The device runs on Android 8.0 Oreo. Late 2017 the Galaxy A-series have been renamed to a Galaxy A8 and an A8 Plus. Since then, there have been rumors Samsung will also change the name of its cheaper J-series. 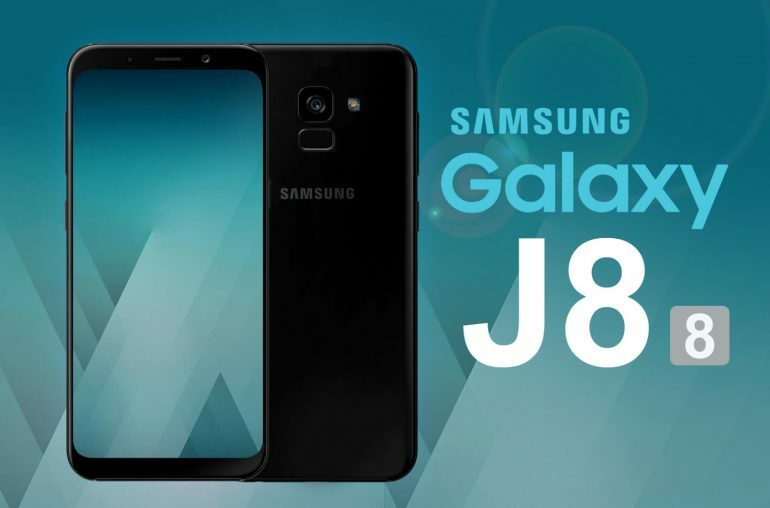 The flagship model, the Samsung Galaxy J8 2018 is likely to be powered by the Exynos 7870 processor with 3GB of RAM. Further specifications are unknown at this moment. More and more evidence shows the Koreans are developing a Galaxy J4, J6 and a J8 smartphone for 2018. At this moment it is completely unclear why we also keep seeing new Galaxy J3 and J7 models. The new Galaxy J-series can be presented any time soon. So stay tuned! 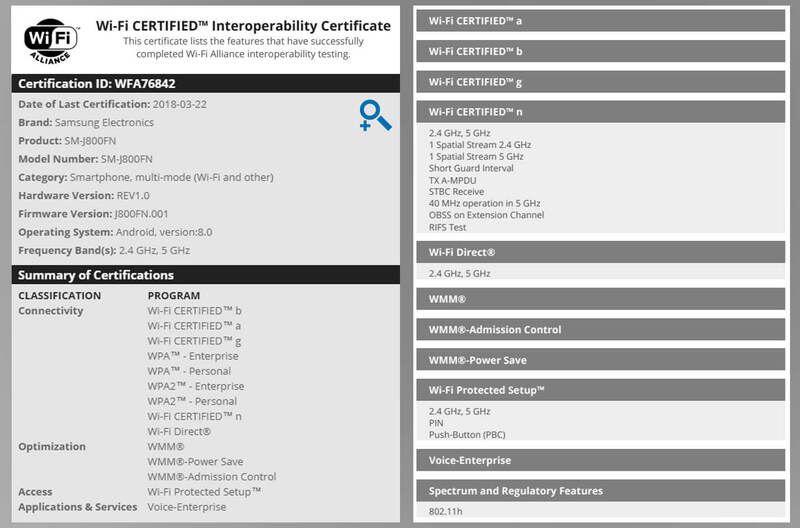 The WiFi Alliance document can be seen here.